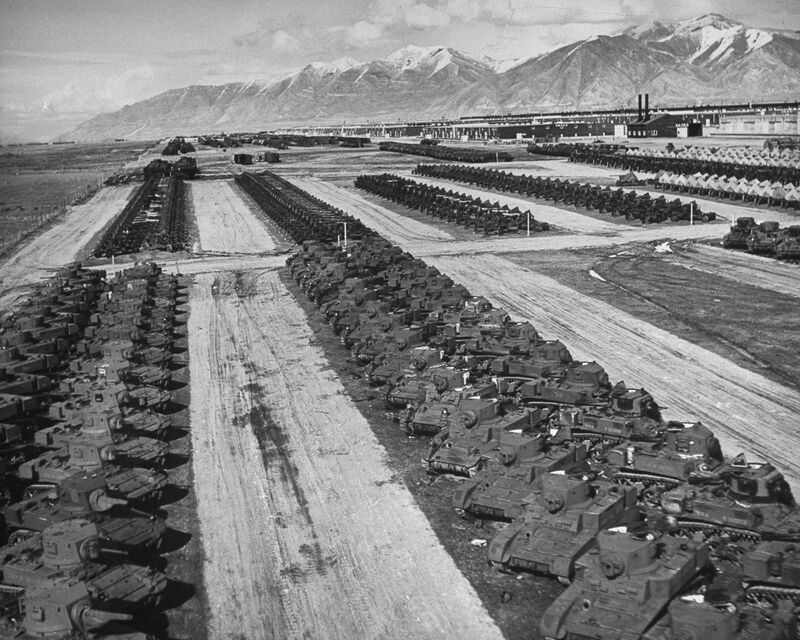 Both Axis & Allied nations produced thousands of tanks during the Second World War. However, not many of these vehicles survive to this day (there are exceptions of course). 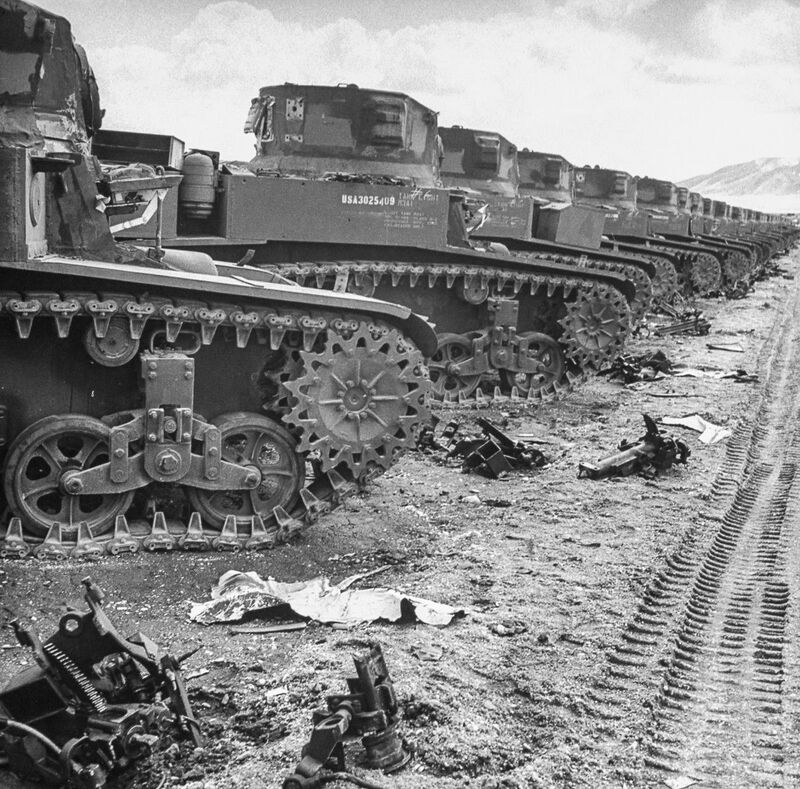 When reading about the fate of these vehicles, it's always said that these tanks were "scrapped" after the war for their resources. 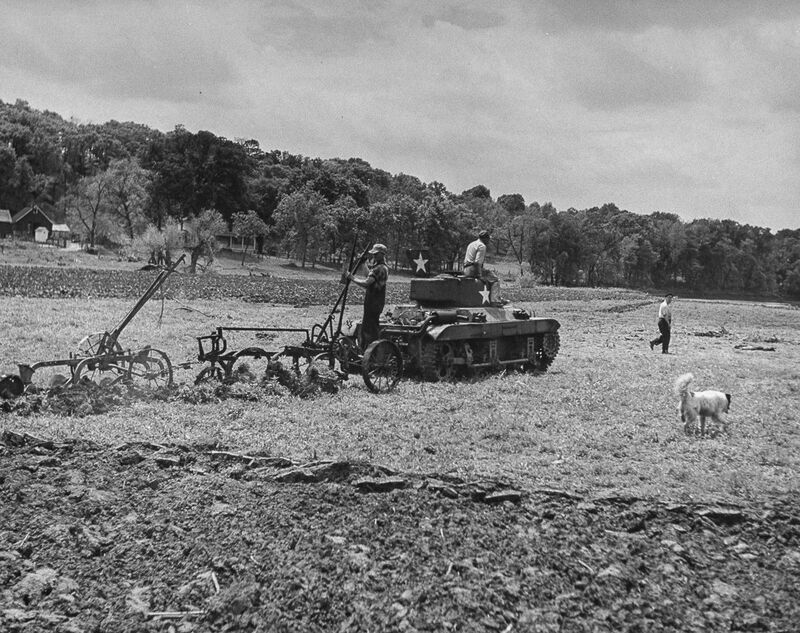 What was the scrapping process? Are they pushed into a giant scary blender, or are they dismantled piece by piece and melted? Can anyone clear this up for me and perhaps provide pictures of the scrapping process? 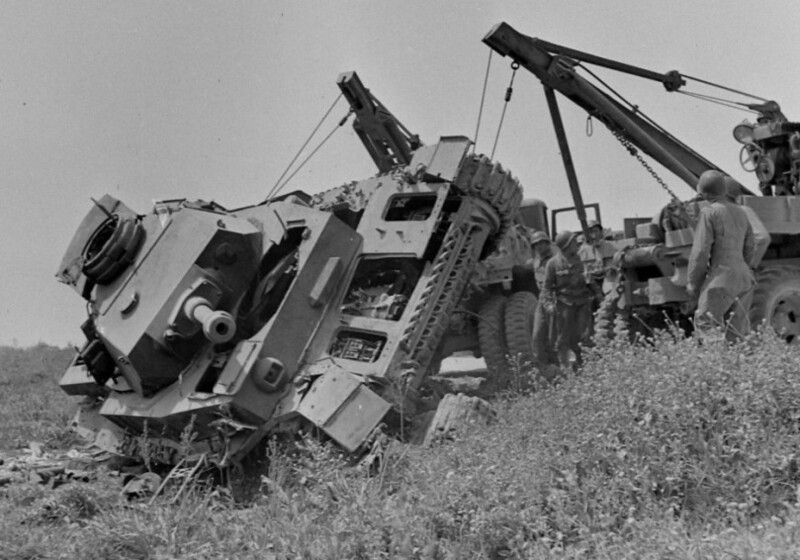 Once nobody was willing or able to use them(either in other conflicts or as bulldozers), tanks were stripped of any particularly valuable or reusable parts, and whatever was left was disassembled/cut up to be used as scrap metal. 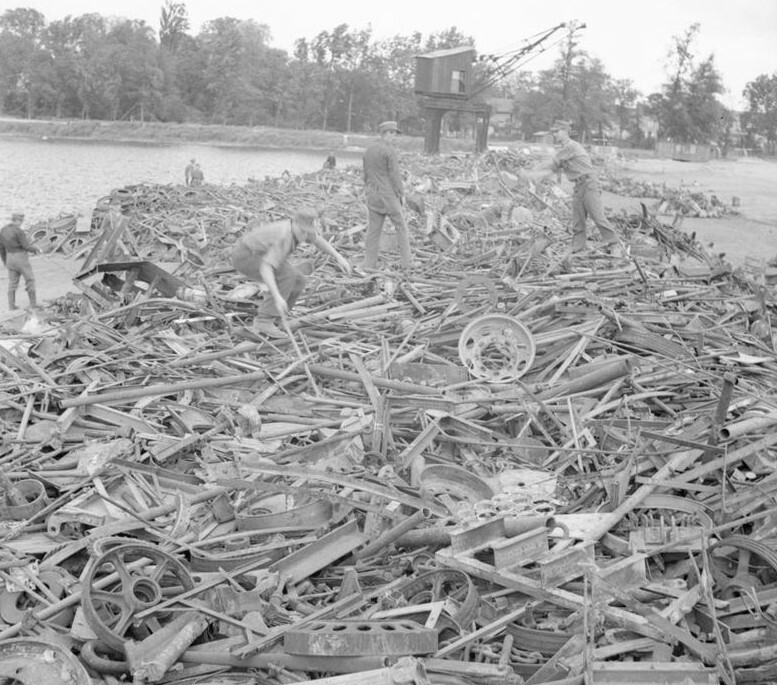 At the scrapyards(also called "strip out yards"), the valuable bits that still worked were removed from the disabled tanks to be used as replacements in more usable tanks. This was also a great time for military research, as engineers could poke around allied and enemy tanks looking for vulnerabilities and areas of improvement. Lightweight items such as car bodywork can be recycled by shredding them but there is no blender that's giant or scary enough to blend a tank. They would have been scrapped in much the same way as other large items such as ships or railway locomotives: partly by being dismantled and partly by being cut up with torches or saws. The resulting scrap would have been separated into the different metals and then melted down to be recycled. Not the answer you're looking for? Browse other questions tagged world-war-two war tanks or ask your own question. What was Finland's position in World War Two? How Much Did World War Two Cost Financially? 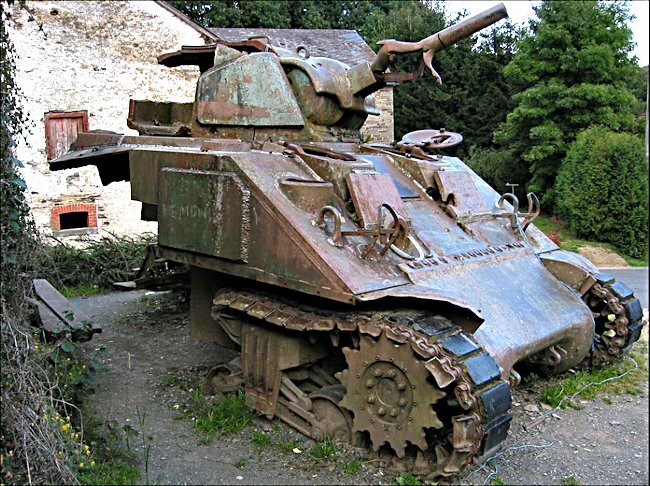 Did cavalrymen drive in tanks in World War II?